Finger Lakes Railway Corporation is a short line railroad that owns and operates 167 miles of track from its Geneva headquarters. Finger Lakes Railway (FGLK) has track in 6 counties in the Finger Lakes region including Ontario, Seneca, Cayuga, Onondaga, Yates, and Schuyler. Their current customer base has grown to 90 rail customers. FGLK connects with CSX, Norfolk Southern, and New York Susquehanna & Western Railroads. 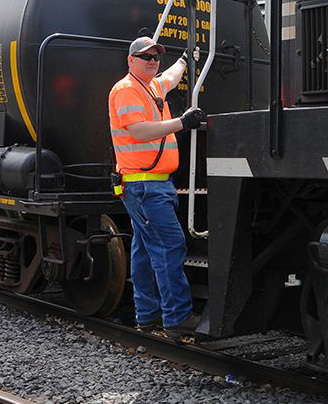 Since they began operations in 1995, they have added 50+ full time employees and now have a fleet of 19 locomotives. They also lease 500+ railcars to better serve their customers needs. Finger Lakes Railway is searching for newcomers with proven character, ability and attitude who really want to be railroaders. We need enthusiastic team players who spend their time productively, interact comfortably with co-workers, and perform effectively for our fans – the customers. Finger Lakes Railway is committed to railroad safety. The safety of our communities and our employees is always priortiy one. We offer guidance, support and rail project management for industries wanting to establish rail service. With multiple Class I Railroad partners and regional connections let us assist your business needs.